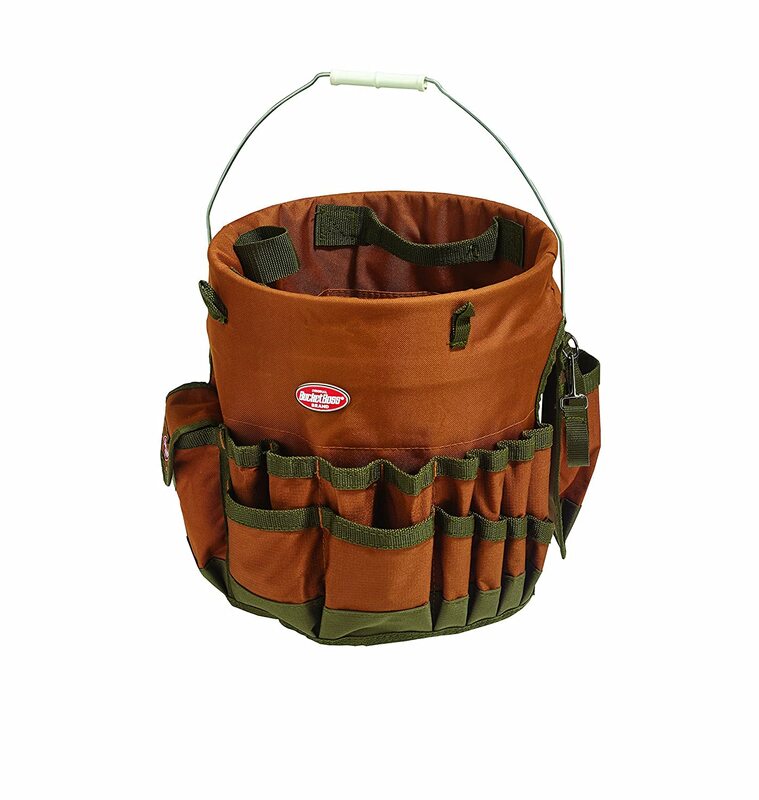 The Bucket Boss Extreme Fatback Bucket Tool Organizer transforms a 5 gallon bucket into a well of organization. It's made of 1680 denier nylon for industrial quality, and it features over 60 pockets, many of which are reinforced with rubber to ensure they last for years no matter what they contain. Some of the most notable pockets are the drill holster, which straps in a drill for easy carrying, and the padded safety glasses pocket that keeps your safety glasses protected. 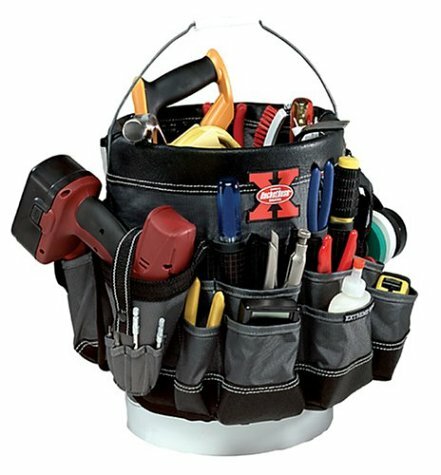 This organizer also comes with a rain and dust cover to keep your tools protected from the dust you stir up on the job and any rain or moisture you may come across. Toolbox, meet bucket. Enough pockets to carry your essential tools; enough for a basic toolbox that will hold your everyday items anyway. Especially handy for those, like me, who do not like to wear a tool belt. This is an excellent product that I would recommend over the cheaper bucket organizers out there, especially if you plan to get a lot of use out of it as it'll weather any abuse you throw at it.